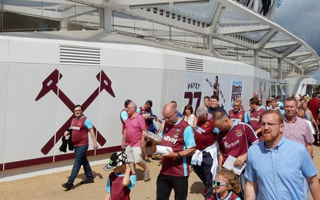 Get the new West Ham United FC jersey! 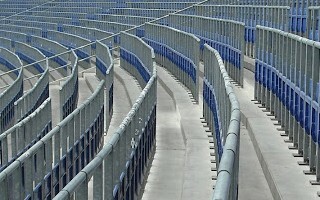 See the 3D model of Borussia Dortmund's Westfalenstadion! 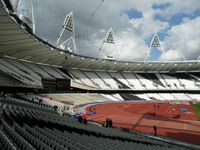 Design by renown architects of Populous was presented in Nov 2007, long ahead of 2012 Olympics, for which the venue was the centre point. 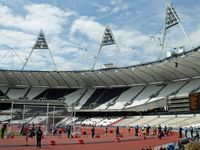 Along with legacy plans accepted by the IOC it was to have capacity of 80,000 during Games and 25,000 afterwards, with athletics track left intact. 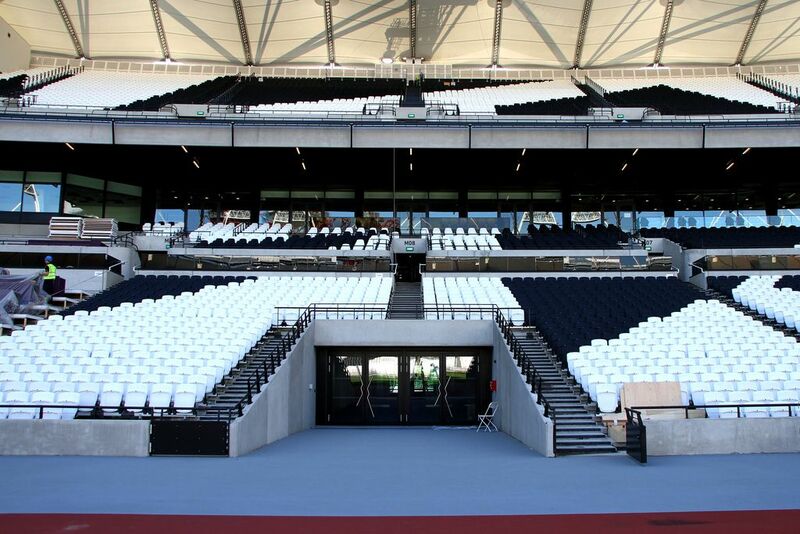 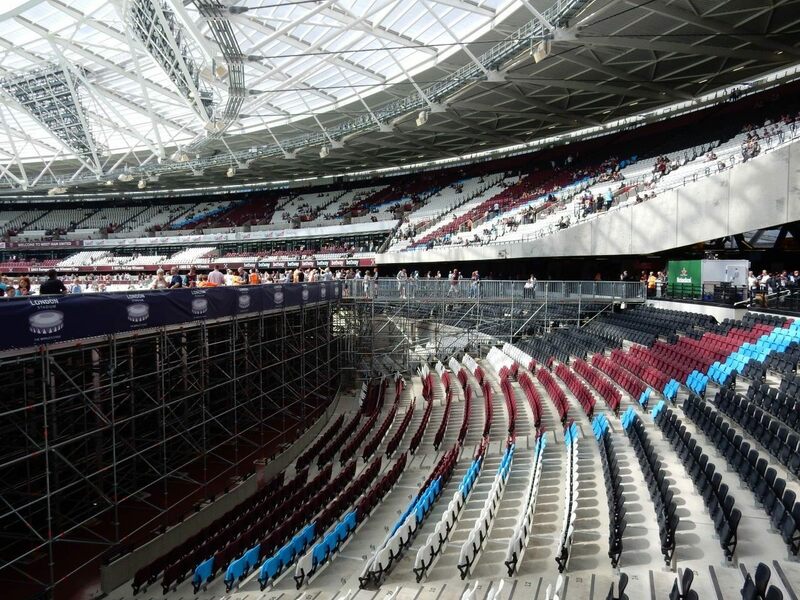 Upper tiers of seating were to be recycled. 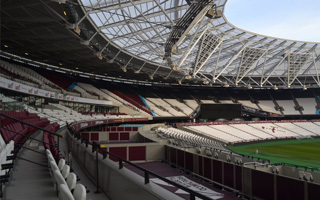 Regular construction works started in May 2008, but preparatory works date back to mid-2007. 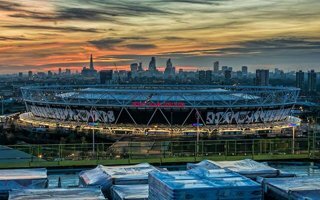 Along with progress of the huge project in Stratford numerous controversies were raised for aesthetic, financial and political reasons. 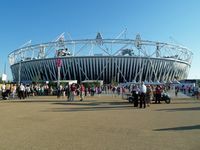 Main structure was ready in 2011, but opening of the venue was delayed until May 2012. 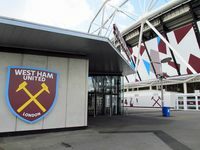 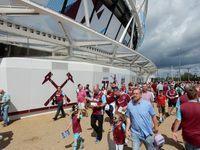 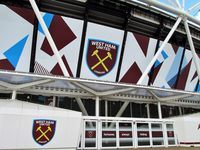 During construction legacy plans were changed with football use being the preferred future and West Ham United the preferred tenant. 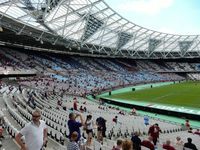 Despite numerous protests, the selection was sustained and in 2014 reconfiguration began to make the stadium as suitable for football as possible. 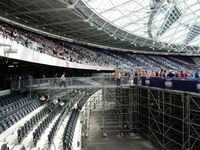 This includes installation of the world’s largest cantilever roof, retractable lower tiers and permanent sanitary/commercial infrastructure around the stands. 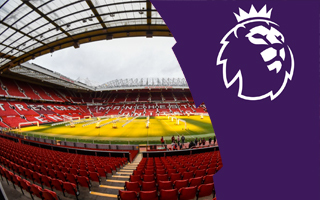 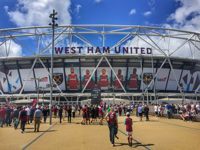 All of these efforts were chosen to allow maximizing revenue for Premier League fixtures and also host athletics events in the summer. 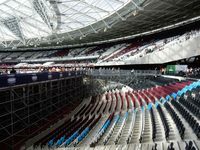 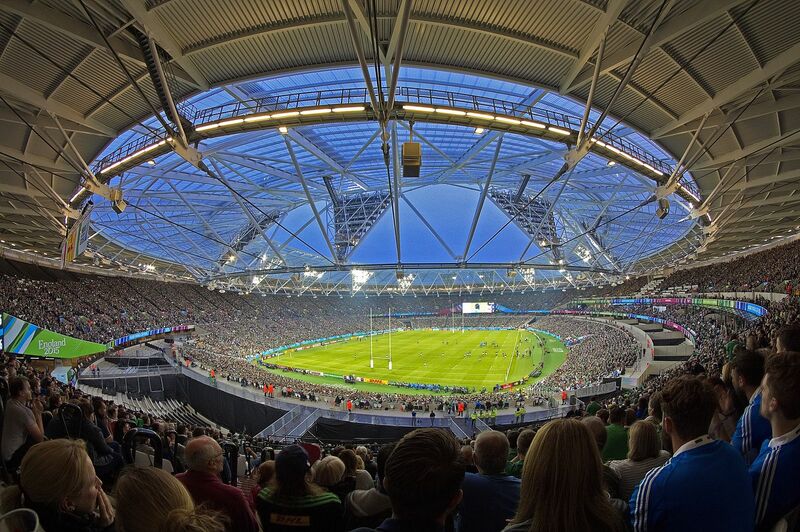 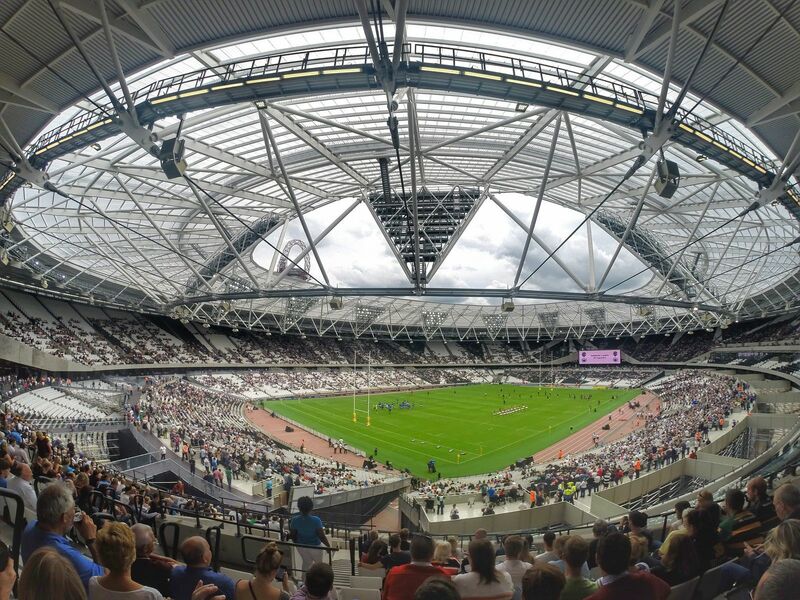 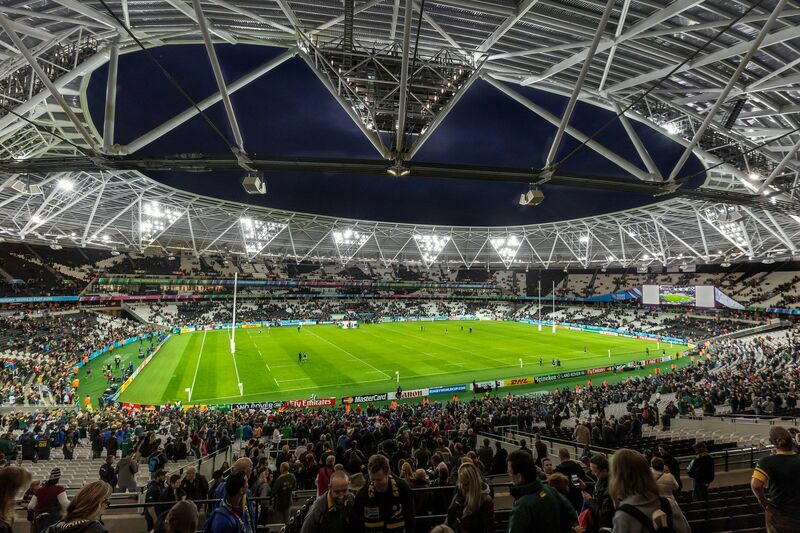 Instead of curves, London Stadium will offer new, straight lower end zones. 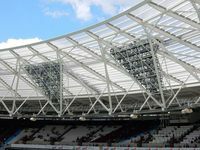 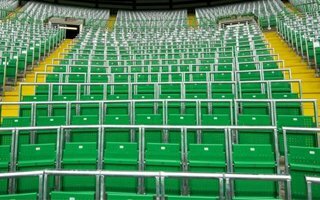 While advertised as improvement for supporters, the move should rather be seen as way out of the biggest structural issue of the building. 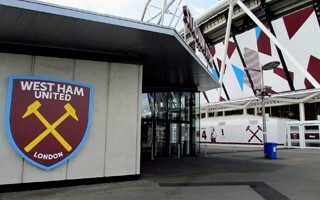 With almost 800 games for West Ham United, Billy Bonds is one of the Hammers' most celebrated players. 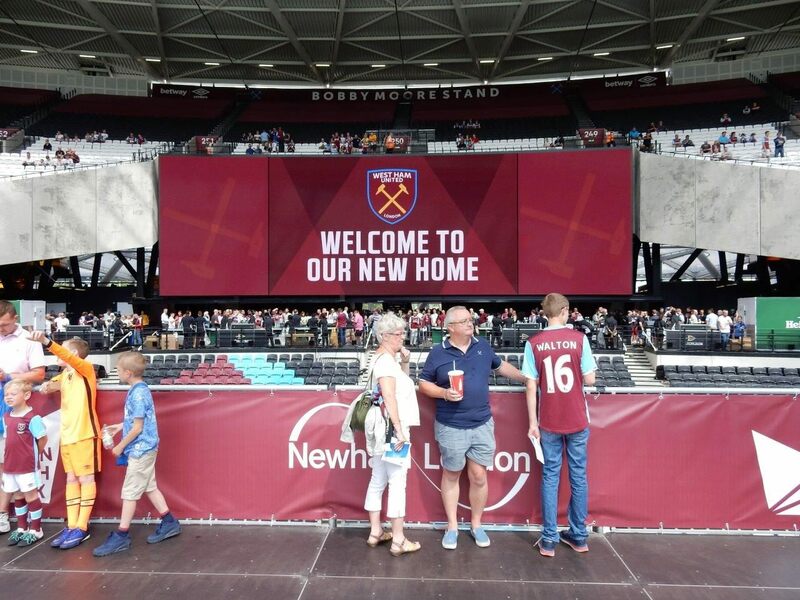 Now he's getting a stand with his name at London Stadium. 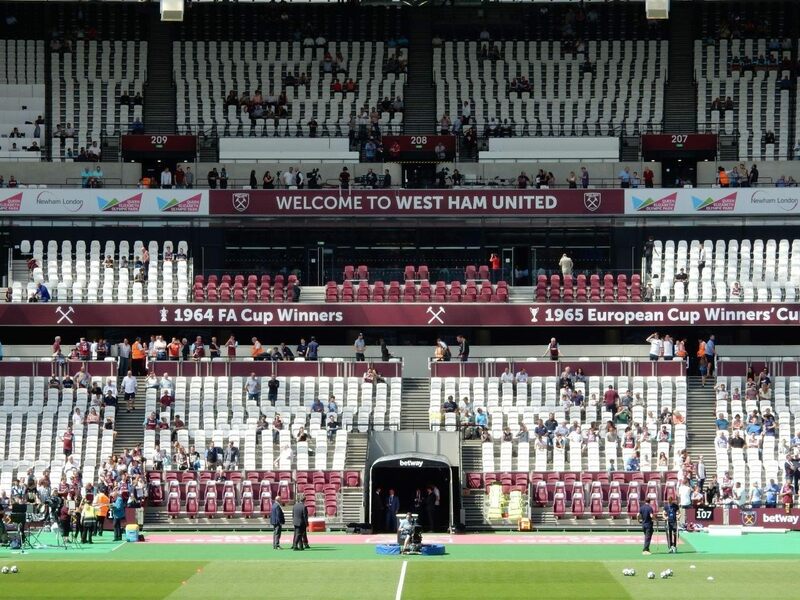 Report by BBC. 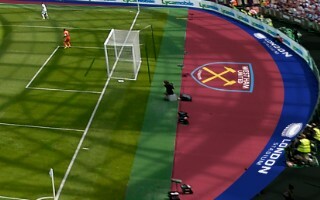 On the day when both sides were supposed to meet in court over one more issue, they reached an agreement. 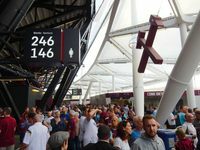 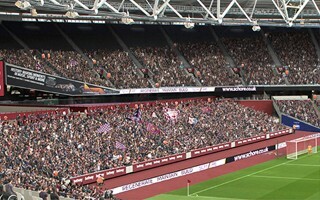 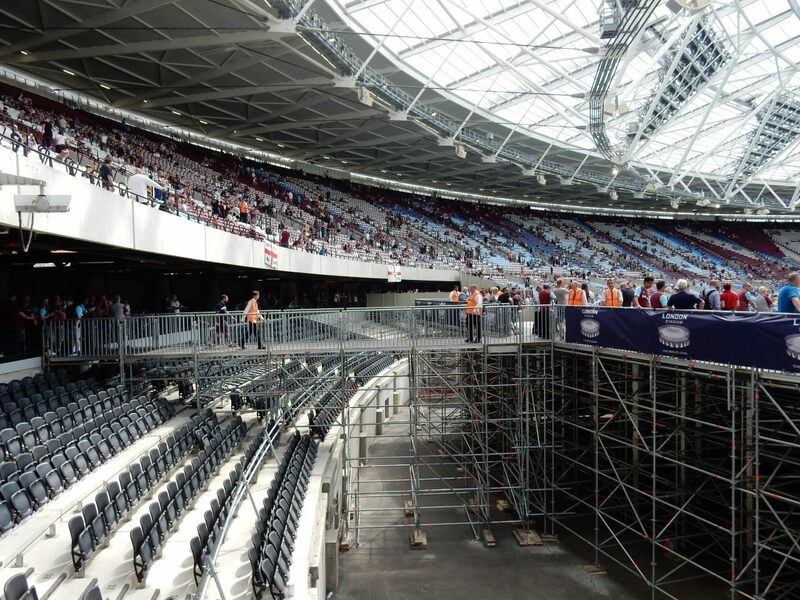 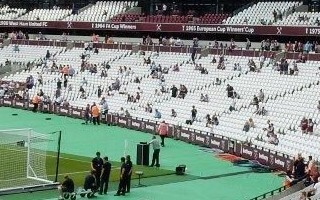 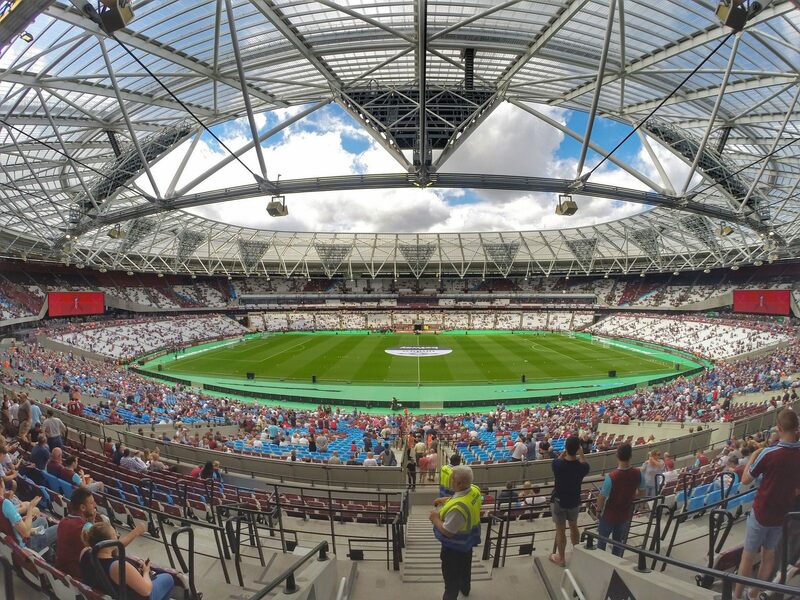 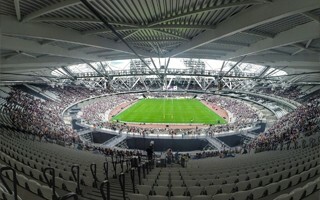 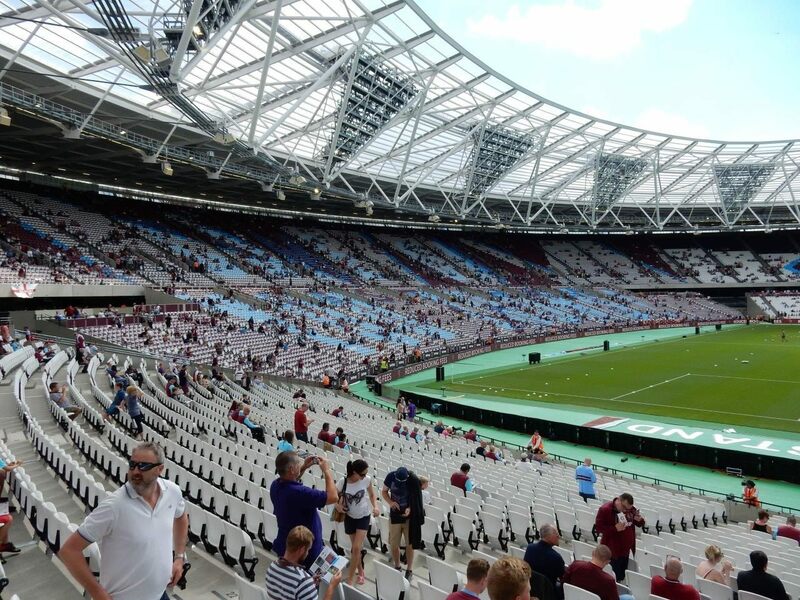 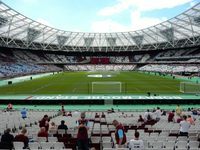 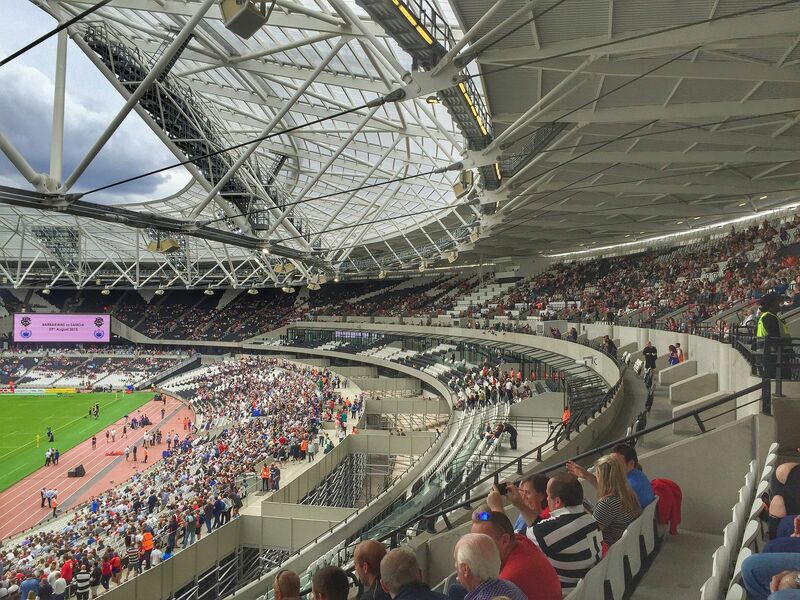 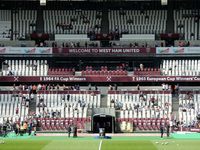 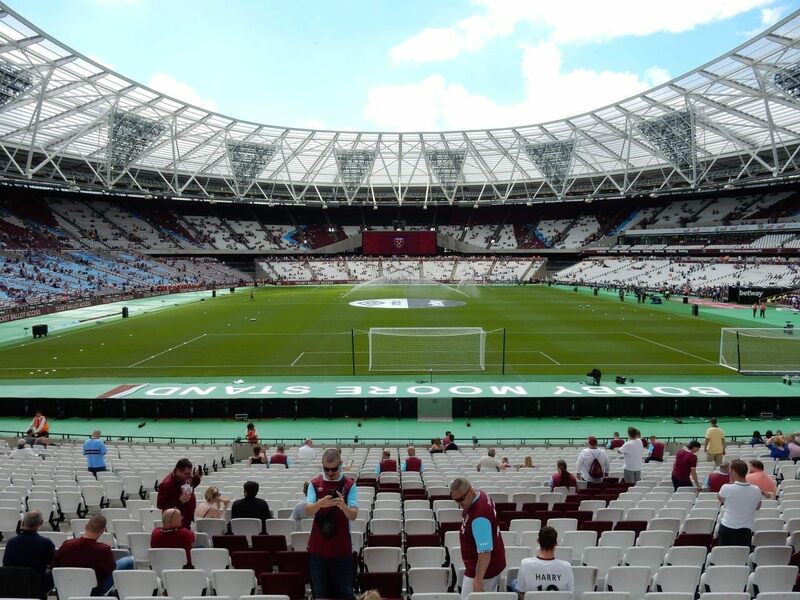 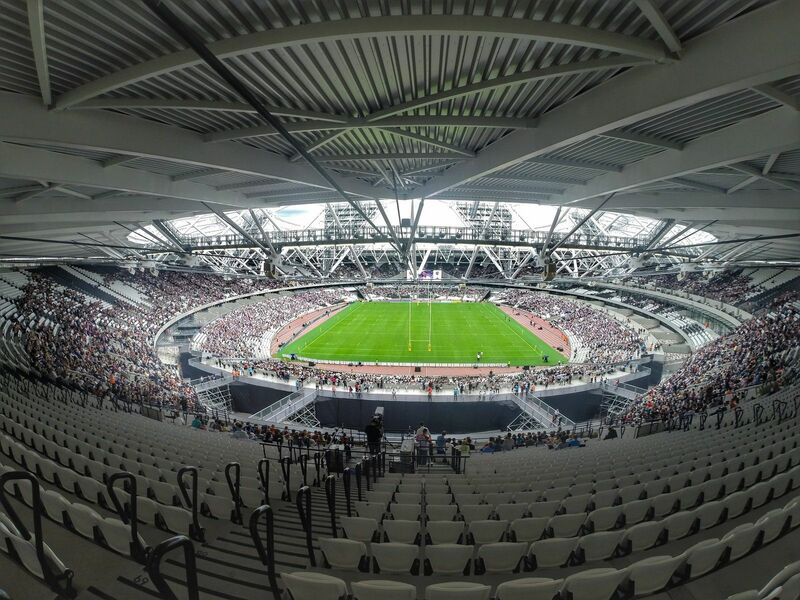 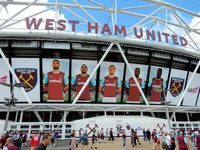 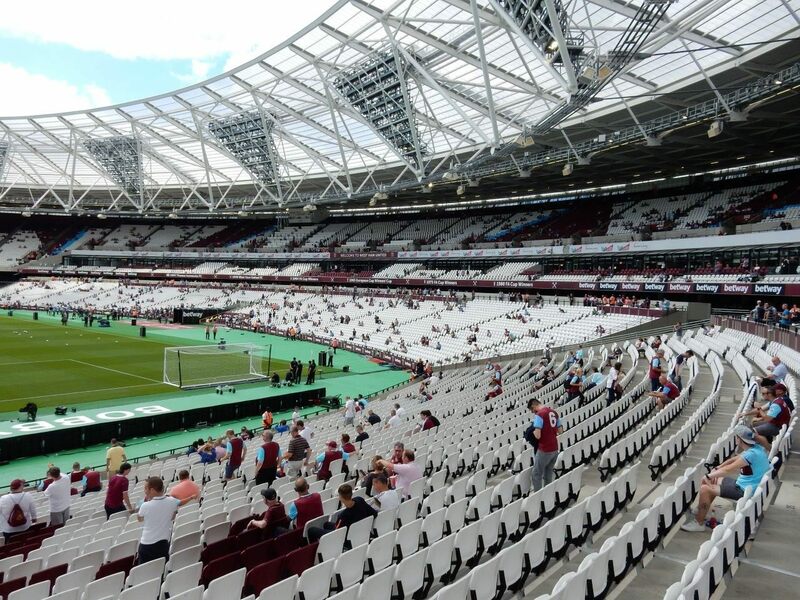 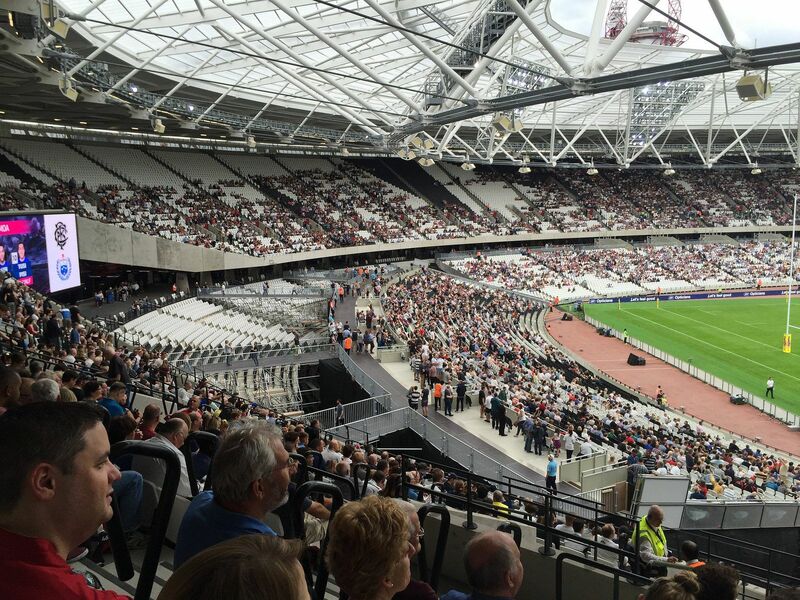 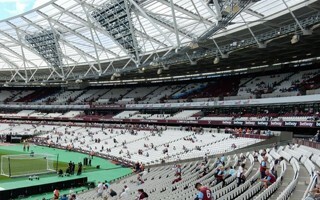 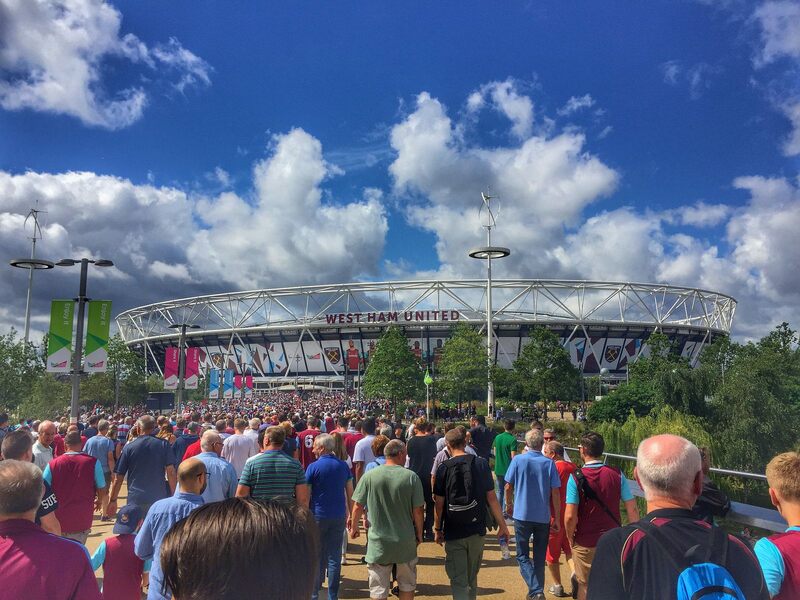 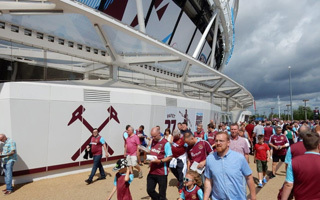 No more capacity limits imposed on West Ham and the prospect of reaching 66,000 seats sooner than later. 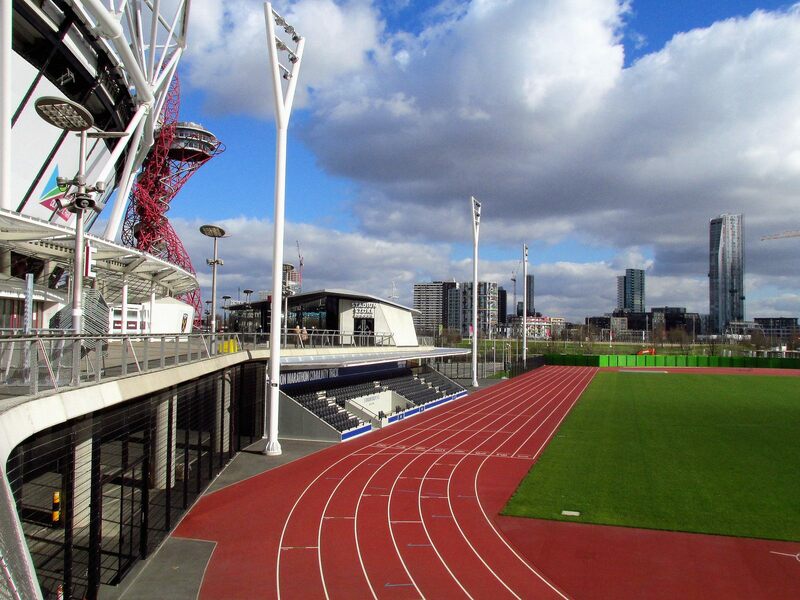 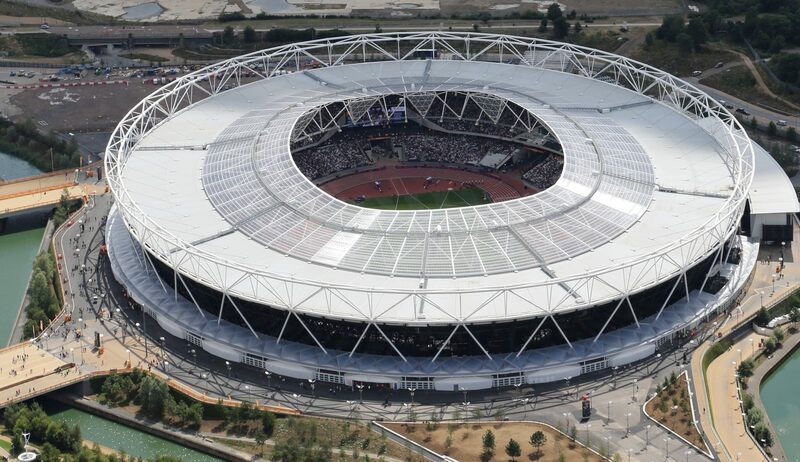 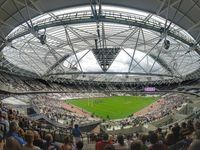 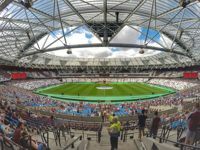 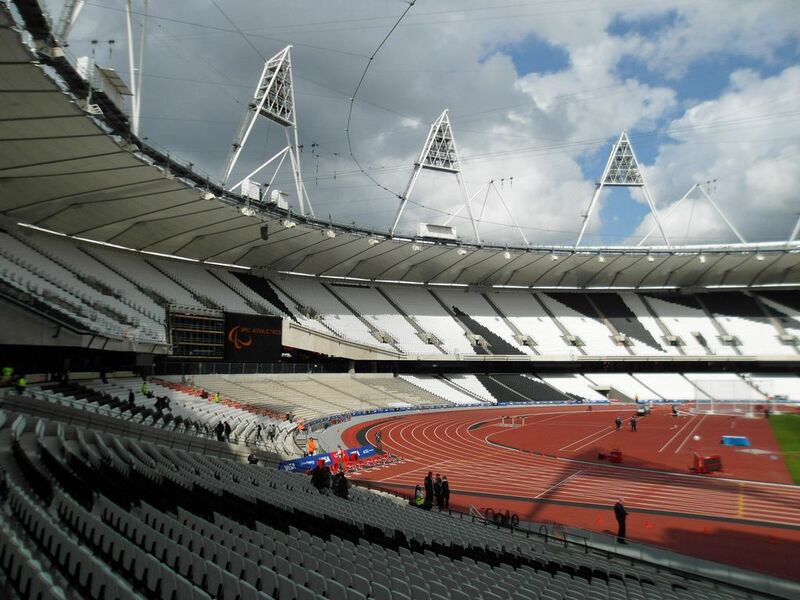 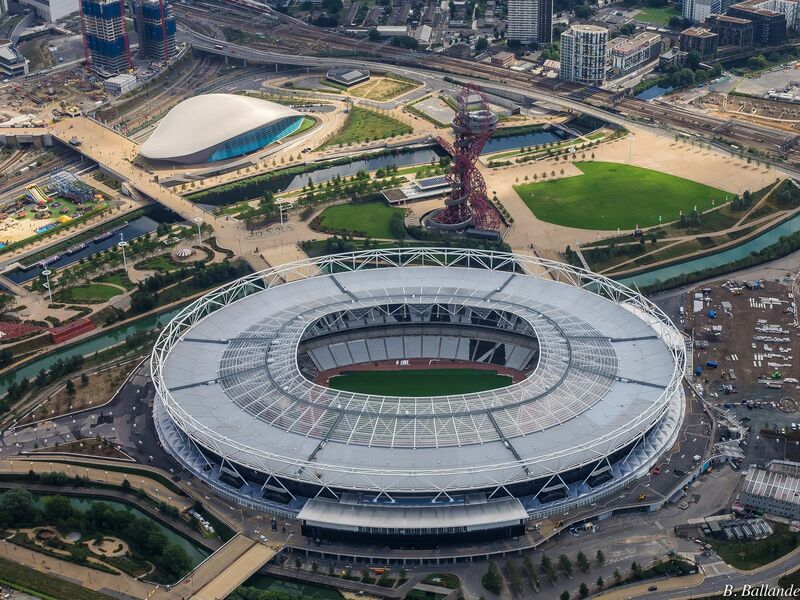 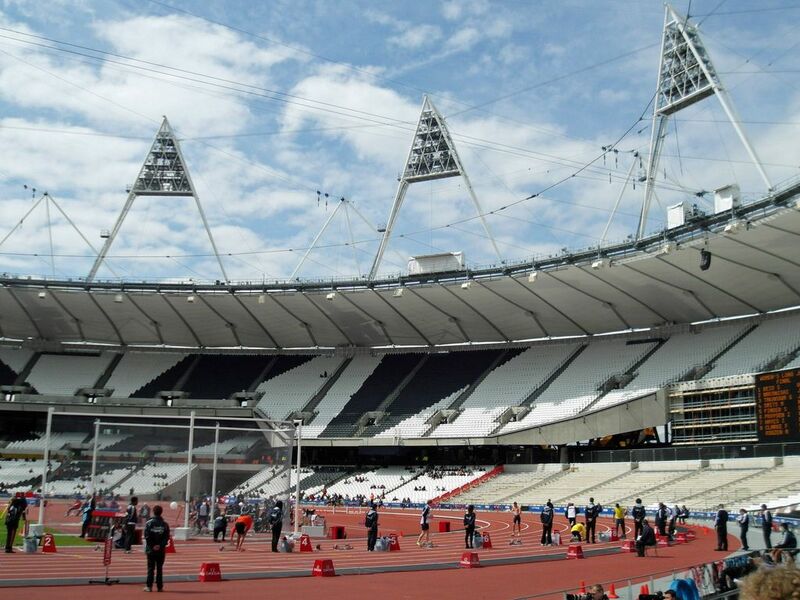 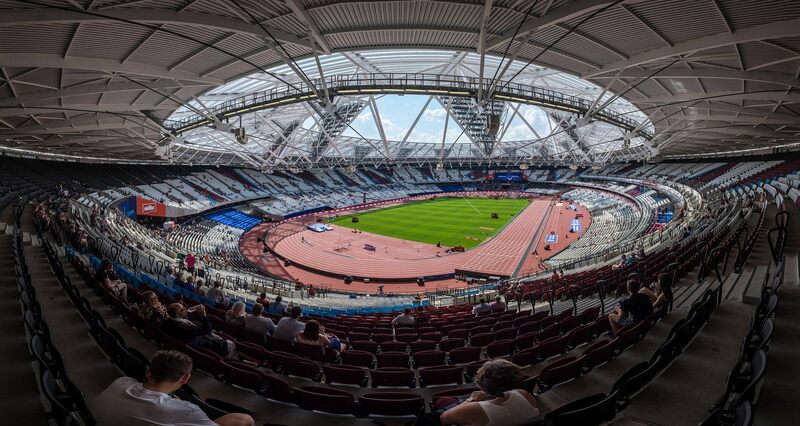 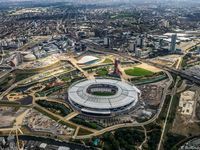 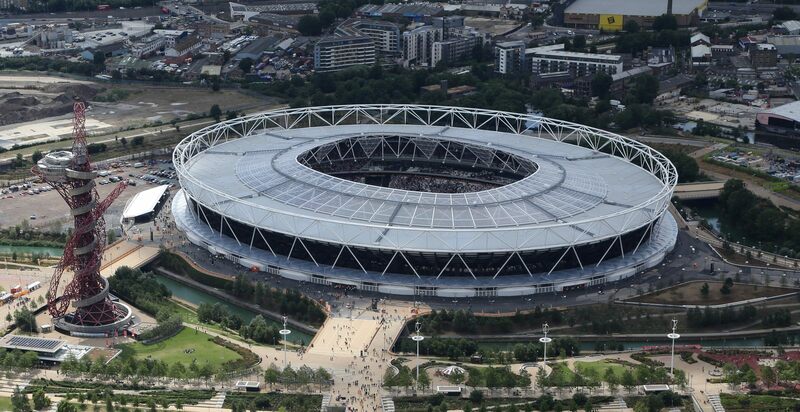 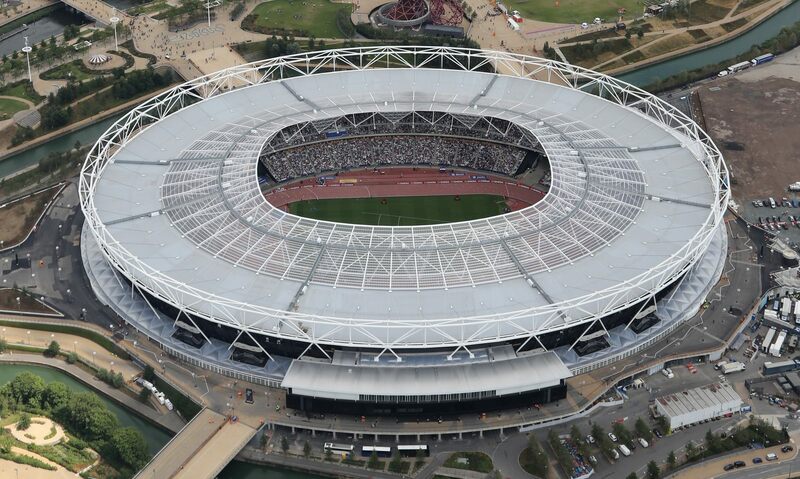 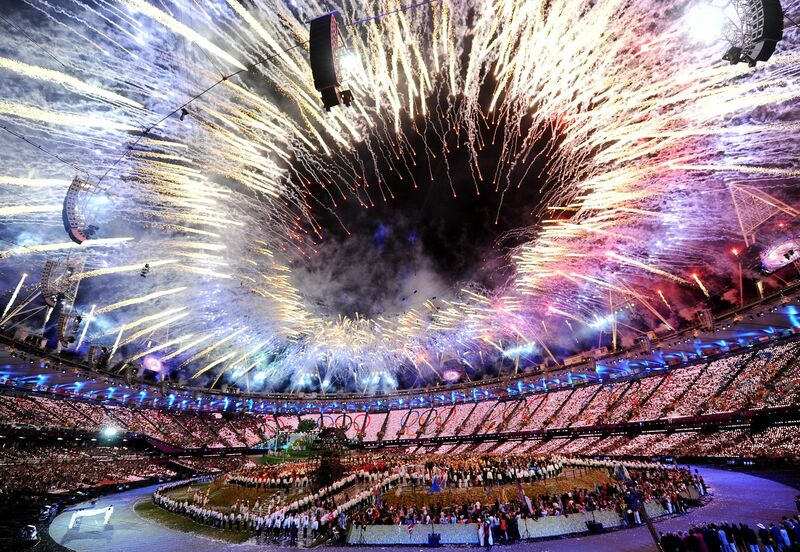 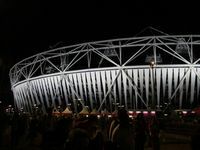 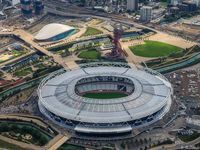 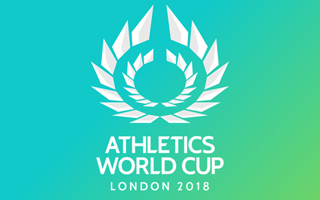 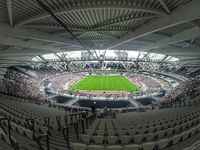 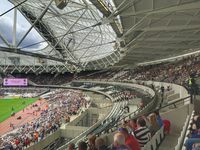 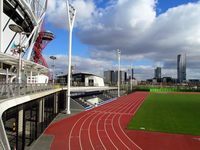 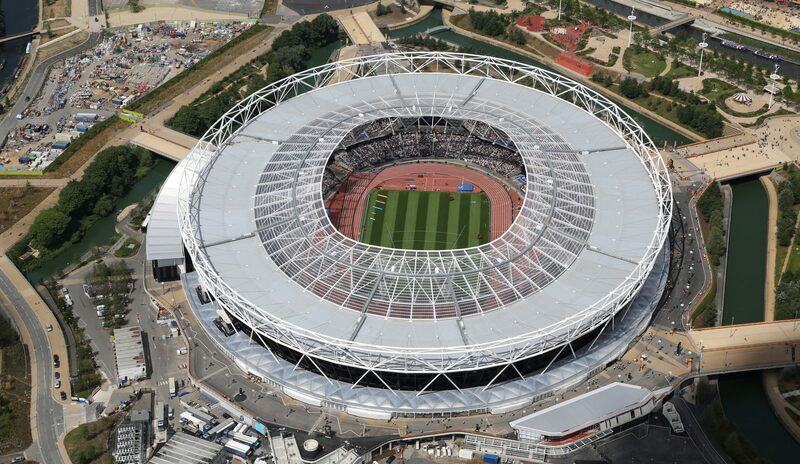 A new World Cup event featuring eight of the top nations will take place at the London Stadium on July 14 and 15 this year, British Athletics has announced. 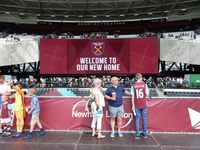 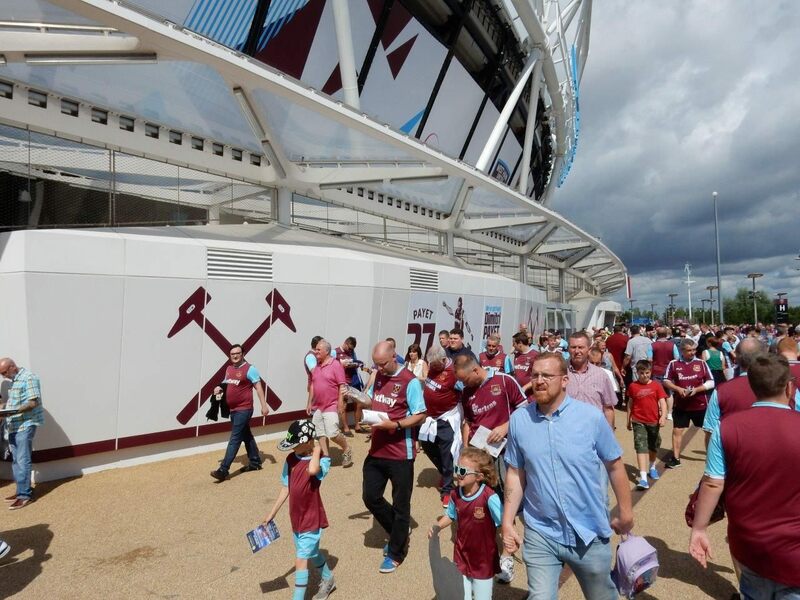 13.09.2017 London: Newham stadium loan never to be recouped? 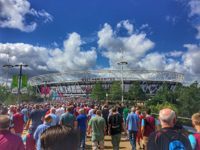 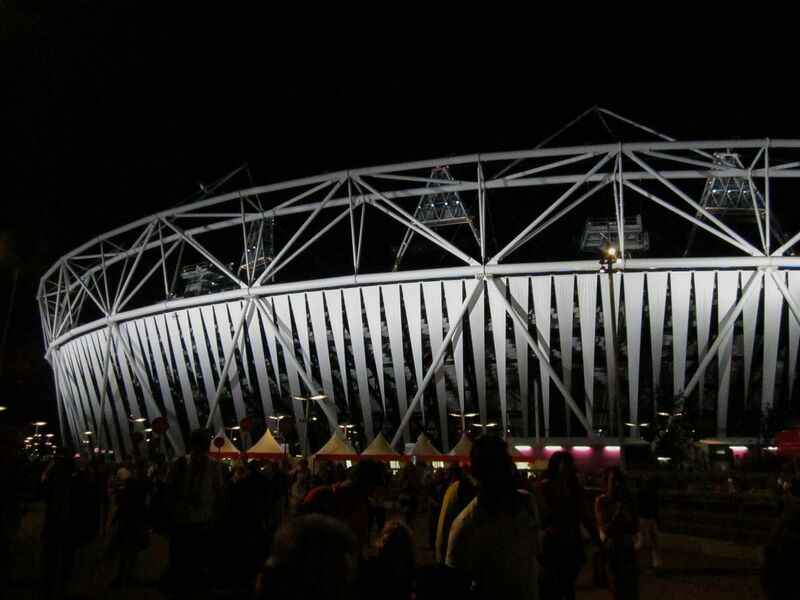 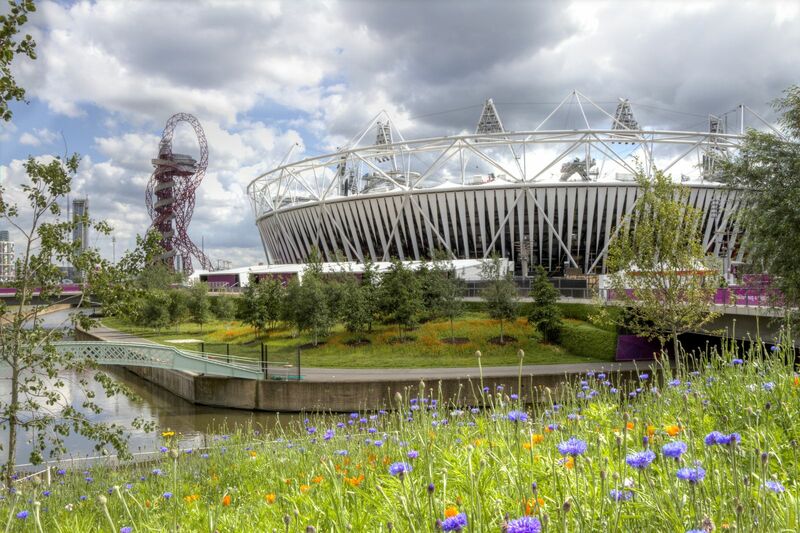 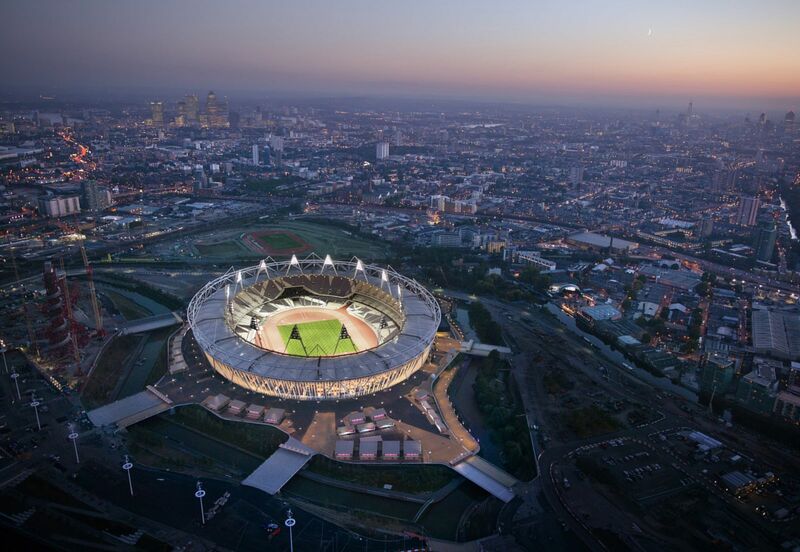 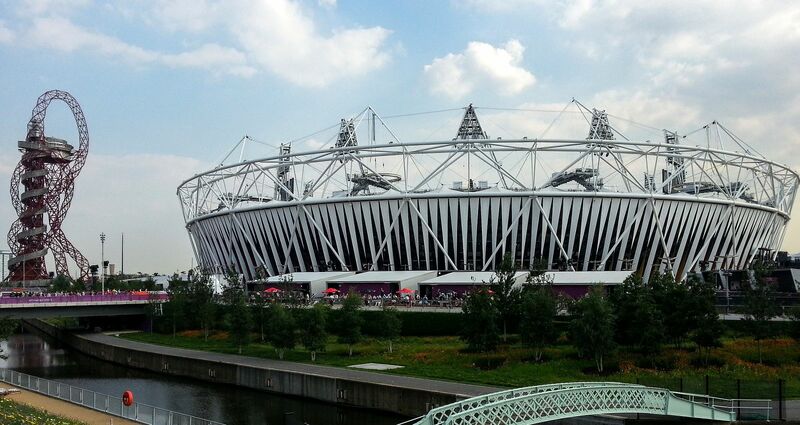 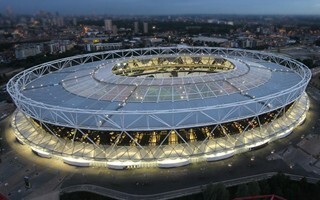 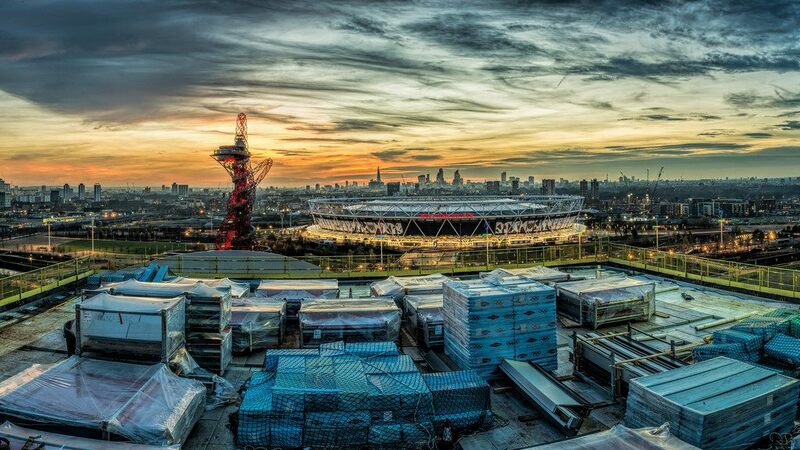 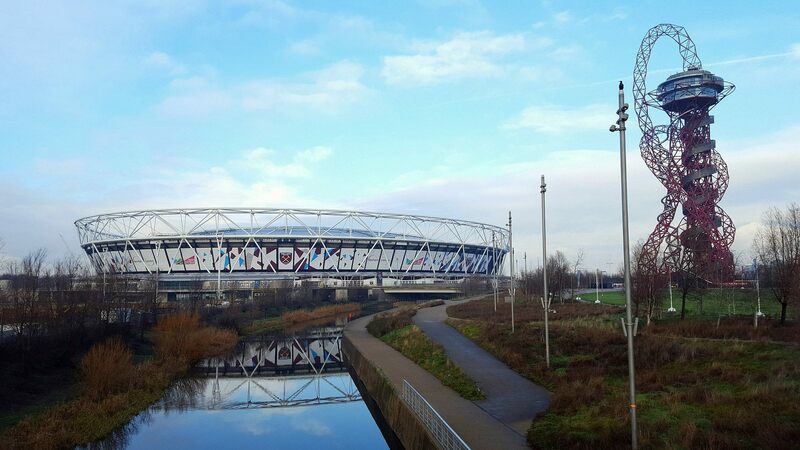 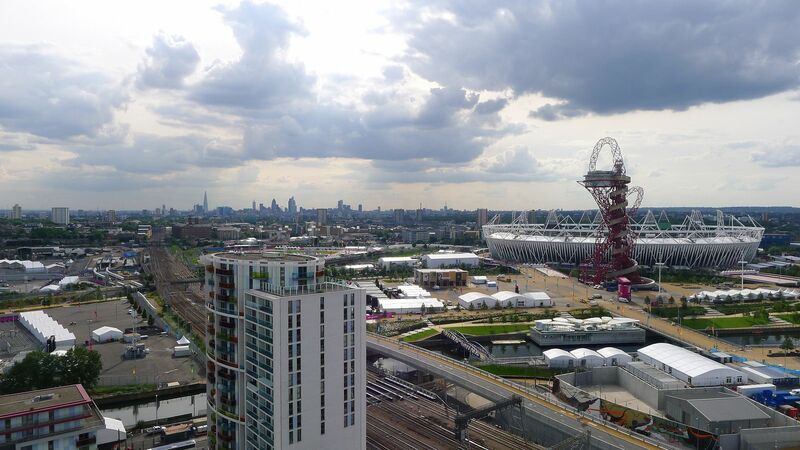 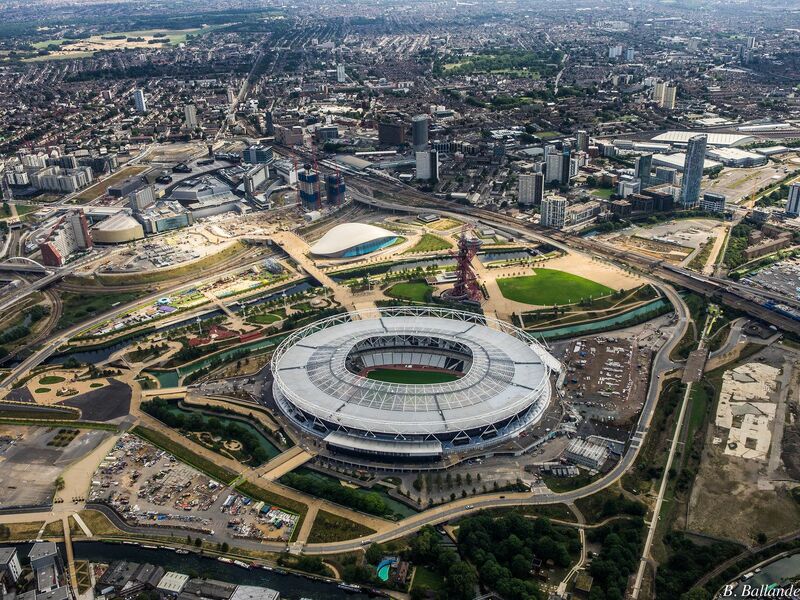 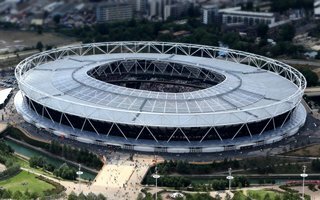 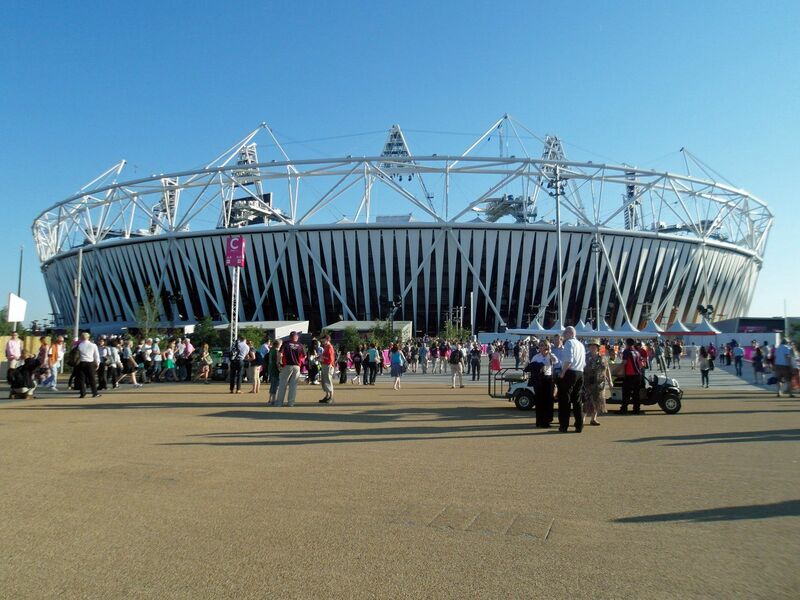 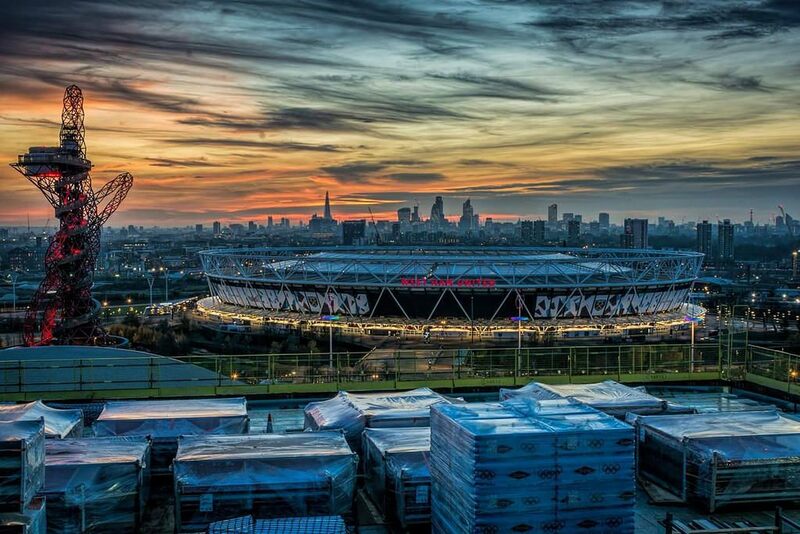 The challenged London borough contributed over £44.4 million to effectively get 35% stake in London Stadium. 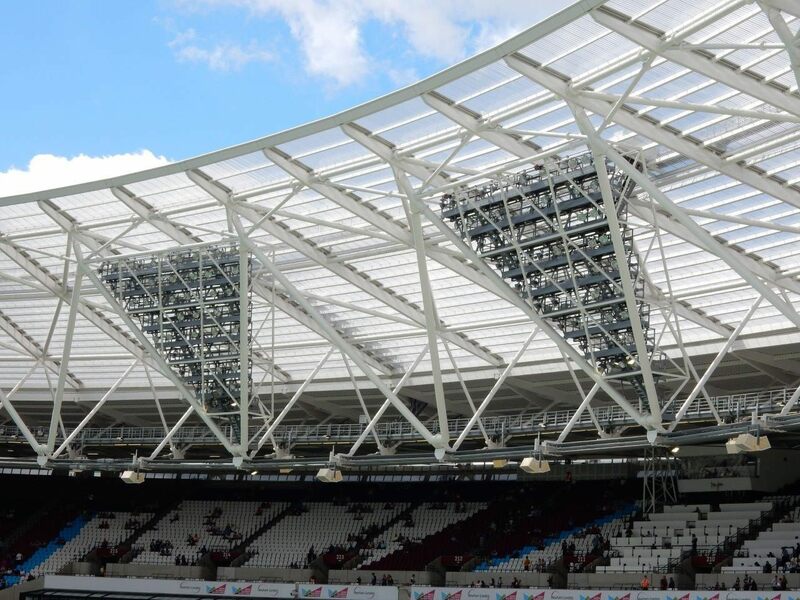 That loan is now considered damaged, which means it might never be recouped. 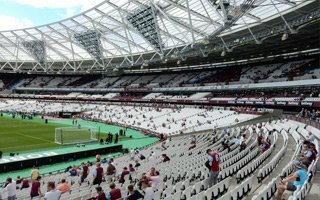 London's latest stadium will see its season opener as late as last week and we already know that protests are being planned for the game. 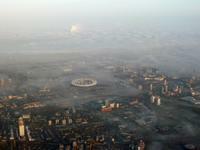 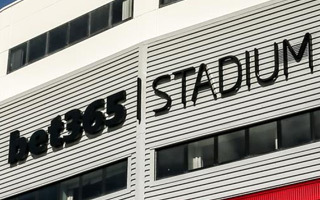 One of the causes is the stadium itself. 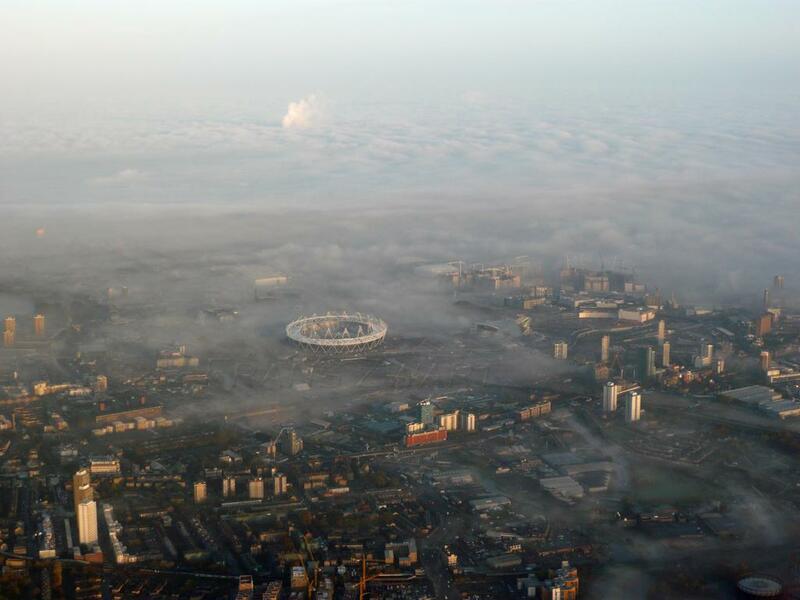 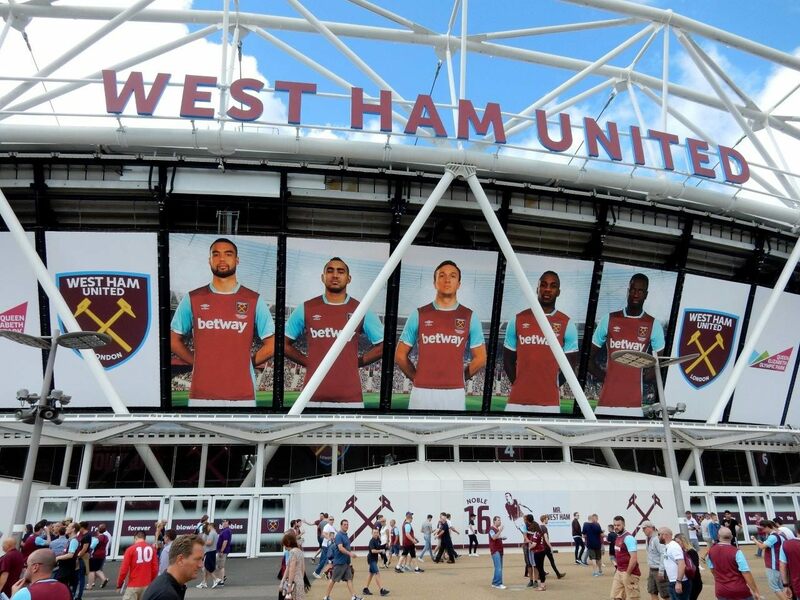 Come the 2017/18 Premier League season, the search for naming rights begins again in London. 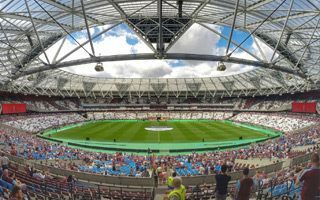 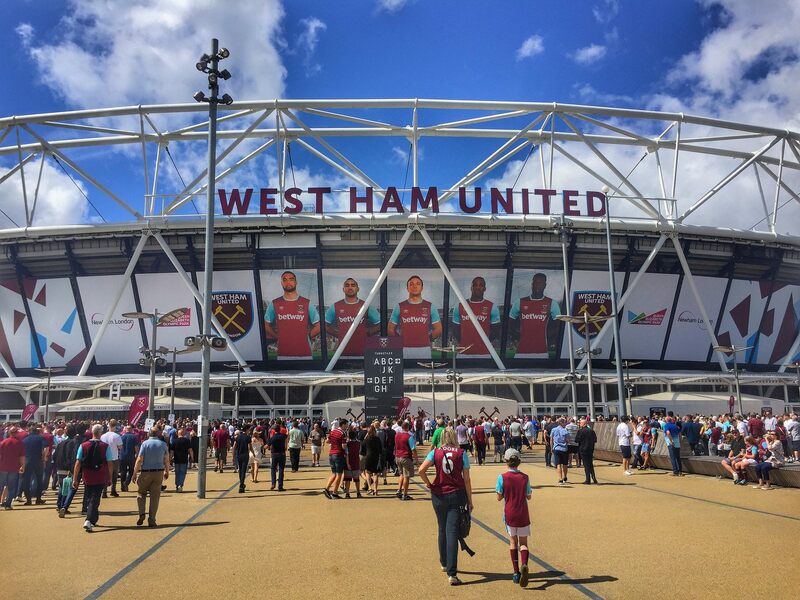 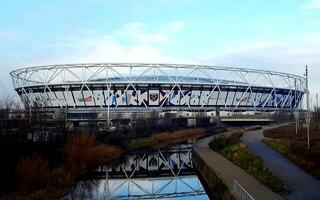 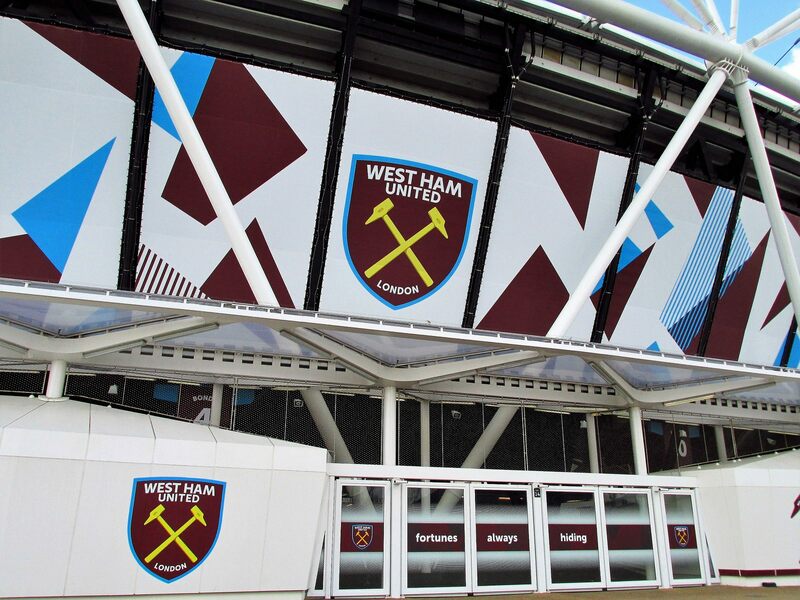 However, London Stadium will not be sponsored by any betting company in order not to cause conflict with West Ham's sponsor Betway.